The idea of Neighbours’ Day was born in 1990 by Atanase Périfan. The story started in 1997, an elderly woman’s body was found in her Parisian flat four months after she died. Atanase was moved by this tragedy that he started to commission a survey asking one question: ‘What makes an ideal neighbour?’. The popular answer was ‘A neighbour you never see’. 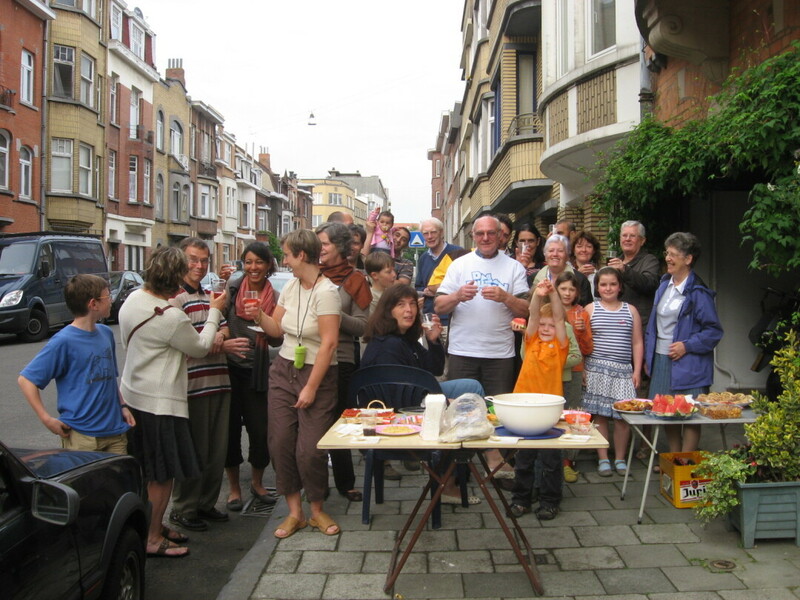 This lack of community spirit, mutual aid among neighbours answer pushed Atanase to create the initiative ‘Immeubles en Fête’ known today as ‘La Fête des Voisins’. Neighbour’s Day is an annual event that occurs at the end of May. Any city or social housing organization is welcome to participate in Neighbour’s Day by promoting the event with the inhabitants using all the communication means at their disposal. It is then up to each resident or group of residents to organise their own parties. Design is used in the communication and dissemination of the project. Materials such as posters, flyers, communication kits are free and downloadable on the site.